Sunday's Grade II, $200,000 San Vicente Stakes at Santa Anita does not offer points to the big dance on the first Saturday in May, but is often used as a launching pad to points races for talented 3-year-olds. The Bob Baffert-trained pair Coliseum and Dessman will take on three other sophomores at seven furlongs in this year's edition. 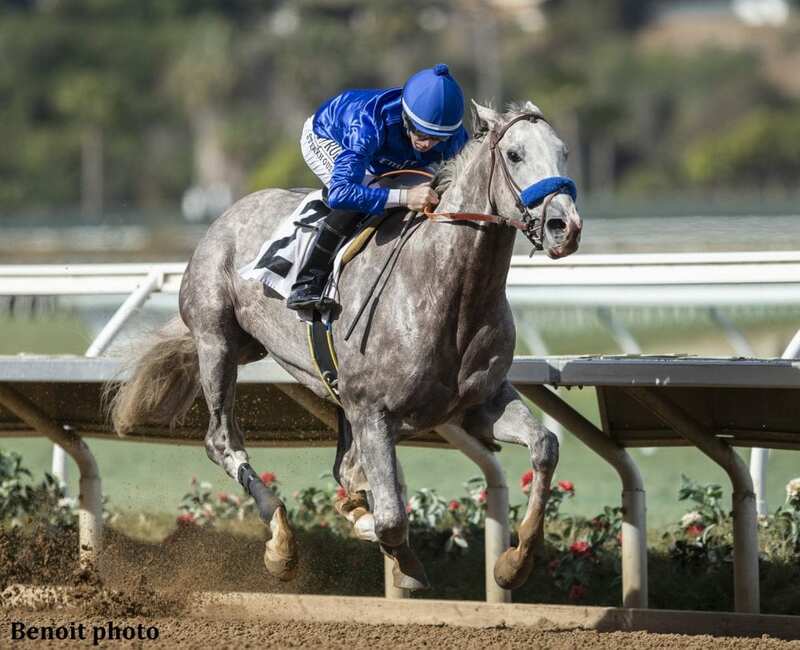 A rousing 6 ¾ length maiden winner going seven furlongs at Del Mar Nov. 17, this immensely talented son of Tapit, who earned a lofty 91 Beyer Speed figure, was instantly accorded “A-list” status and was thus off as the 3-5 favorite in the Grade III, one mile Sham Stakes here on Jan. 5. Off a bit slowly, Coliseum, who is out of the Menifee mare Game Face, seemed out of sorts throughout and never threatened while finishing sixth, 4 ¼ lengths behind Jerry Hollendorfer's Gunmetal Gray. Undeterred, Baffert has worked Coliseum twice from the gate, five furlongs in 1:00.80 (24th of 140) on Jan. 20 and six furlongs in 1:12.20 (best of 11) on Jan. 30 as he cuts back in distance to a sprint. Bred by his owner, Coliseum will be ridden for the first time by Mike Smith. A $750,000 Fasig Tipton March 2-year-old in Training Sale graduate, this Florida-bred colt by Union Rags was a galloping 7 ½ length first out winner going six furlongs here on Jan. 19. Off as the 4-5 favorite, he earned an 80 Beyer while catching a main track listed as good. Out of the Trippi mare Frolic's Appeal, he's eligible to improve by many as Flavien Prat rides back. This entry was posted in NL List, Triple Crown and tagged Bob Baffert, coliseum, dessman, flavien prat, Godolphin, mike smith, road to the kentucky derby, San Vicente, santa anita park, sheikh mohammed bin khalifa al maktoum by Mike Willman/Santa Anita. Bookmark the permalink.